In Finland, like elsewhere, trials of war criminals took place after the war. Some persons in Finland were convicted of offences of international rights, and others, one president and some other politicians in 1946, of the outbreak and continuation of the war, for which they were considered responsible. Even before the war Mannerheim had already been the target of Soviet propaganda, and during the war he was, together with President Risto Ryti and the powerful social-democratic leader Väinö Tanner, the scapegoat of the adversary. There were talks of Ryti-Mannerheim-Tanner gang of warmongers. At the end of the Continuation War the Finns had reason to expect that the representatives of the Soviet Union would demand the resignation of Mannerheim and his conviction of war crimes. After the war there were some people in Finland who, for different reasons, insisted on Mannerheim being tried: they either wanted to find culprits in general or to pave the way for a socialistic state in order to win the favour of the Soviet Union. These people could be found both among the communists and among the government politicians who had followed the "new", post-war line. After all, Mannerheim was not tried and convicted, which aroused a lot of speculation. Did Stalin actually sympathize with Finland, the Finnish Army and Tsars General Mannerheim? 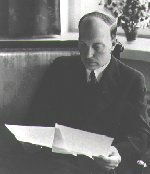 Chief Secretary Erik Boheman in the Swedish Ministry of Foreign Affairs was in charge of the contacts with Madame Kollontay, the Soviet ambassador. At the turn of the year (1943 and 1944) the ambassador "communicated" that Finland was expected to get in touch with the Soviet Union to negotiate peace. When these contacts took place in November 1943, Madame Kollontay said that the Soviet leaders were well aware of the fact that there would be no stable solution with Finland, unless it was backed by Marshal Mannerheim. The Finnish army might prolong the battle, and the territory could not be militarily stabilized. During these peace contacts the requests for punishment of war criminals were growing louder in the world at large. Boheman mentioned to Kollontay that he was worried that the Soviet Union might make demands in regard to Mannerheim. The ambassador contacted Stalin, and four or five days later she informed Boheman that she was able to affirm that "no demands of the kind would never be put forward". In 1945 Andrej Zhdanov, chairman of the Control Commission of the Allies, consistently ignored the propositions of Mannerheims trial. In summer 1945 the Finnish Parliament came to a decision that some of the wartime leaders had to be prosecuted. A new law was passed, which, differing from the Finnish concepts of justice, criminalized political decisions afterwards. The war crime board of investigation asked Mannerheim questions concerning Finnish foreign policy during the war. He answered the questions with the assistance of General Heinrichs, and in some cases the answers  e.g. those concerning the Transit Pact concluded with the Germans in 1940  were different from those of the political leaders. He attentively followed the trials and the pressuring activities of the Finnish communists and the representatives of the Soviet Union. At the request of the Soviet representatives no mention was made during the trials of the Winter War, in which the Soviet Union had attacked Finland, and some sentences already passed by courts were raised. It was not until the crisis of the trials was over that Mannerheim found it appropriate to hand in his resignation from presidency.